Anne Field , FORBES CONTRIBUTOR. For the past decade, Nina Zolt has been focused on a particular passion: raising literacy and problem–solving skills of low-income kids by connecting them to online pen pals/mentors. In the late 1990’s, she co-founded a nonprofit, which she later turned into a for-profit, now called Cricket Media. The latest move: Recently, the company launched CricketTogether, an online platform allowing employees of participating companies to act as mentors to inner-city kids. Drawing on a repository of more than 100,000 articles for students age 2 to 14, it’s a way for employers to provide an easy yet satisfying way to give back—a major source of employee engagement, especially for Millennials—while helping students learn more sophisticated ways to approach reading. 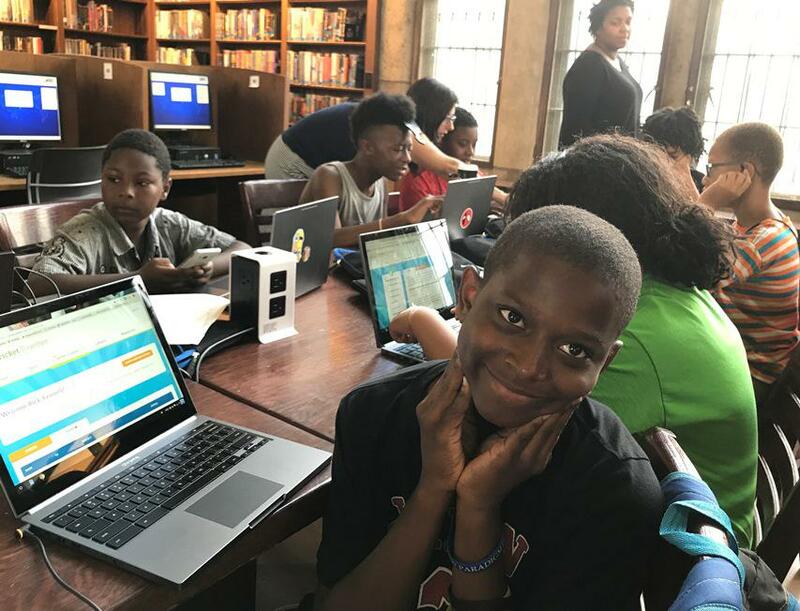 “We’re creating experiences to enable all kids to learn what they want, when they want, with whom they want, and to make learning accessible to everyone,” says Zolt, whose 55-employee company is based in McLean, Va. Zolt piloted the platform earlier this year with John Deere and The Great Courses, working with a library and community center in Detroit. According to Zolt, TGC was looking for a way for employees to give back to their community. But it had to be easily accessible, flexible enough to fit into people’s varied and busy schedules and jibe with the company’s mission to “empower lifelong learning”. The platform is all about creating a way for employees to communicate online with kids and form a bond, while helping boost literacy levels and enthusiasm for reading. But there’s a structure to the process; also students’ teachers approve all the correspondence. First step, volunteers email kids describing who they are, setting the groundwork for building a friendship. After that the child responds. Also, the teacher picks a subject—generally, a topic the student is studying in school—and chooses seven to nine articles on different reading levels. Then the kid selects one particular piece and the volunteer is notified of that choice, reads the article and sends a friendly, yet presumably thought-provoking communication about it, in the process providing a model for how to analyze writing. It's an approach that Zolt describes as personalized--not in the sense of an AI algorithm that learns what a child needs, but, instead, real people who form bonds with kids and get to know them. Of course, most adults don’t have an innate understanding of how to write something that’s an appropriate level for, say, a third grader. For that reason, there’s a “letter center” with tips for what to write and sample letters, plus coaching and a guide for teachers. Revenues are generated by companies that pay for what Zolt calls a “scalable turnkey program.” Zolt co-founded the enterprise as a nonprofit called In2Books, which had an online mentoring platform, in 1997. In 2007, to fuel expansion, they converted it to a for-profit, also acquiring ePals and changing the name to that moniker. Five years later, the company bought Cricket Magazines and changed the name again, this time to Cricket Media.